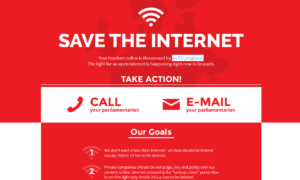 EDRi continued to go to strength in 2014, with a hugely significant victory on net neutrality in the European Parliament and an innovative and successful campaign to raise the profile of our issues in the elections in May. Our successes last year built on a strong development of the organisation in recent years. 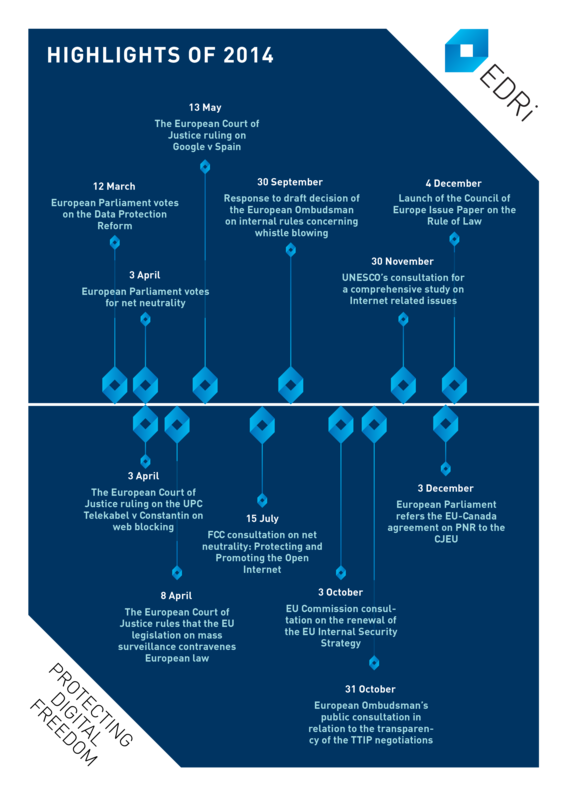 Since 2009, European Digital Rights has undergone major changes and evolved from a decentralised alliance with no staff to a growing organisation that is expanding its work and influence at the end of 2014. Our annual report gives an overview how we continued to strengthen and focus the activities of the digital rights activist community in Europe and maximise the opportunities to campaign with a single voice. If you don’t have the time to read a long pdf, this post gives you a brief overview of what we’ve been doing in 2014. Information technology has a revolutionary impact on our society. The threats and opportunities for our enjoyment of our democratic freedoms are growing exponentially – faster than our resources. The past year has shown how developments in the digital sector boosted freedom of communication and democracy but have also led to new approaches to surveillance. They are increasingly used to impose restrictions on fundamental rights. Our role is therefore to ensure that citizens’ rights and freedoms in the online environment are respected whenever they are endangered by the actions of political bodies or private organisations. In order to be able to continue our fight, we launched a fundraising campaign at the end of 2014. You can read our annual report here (pdf), check last year’s finances and complete press review of 2014. We facilitated direct citizen participation in the democratic processes of the EU. Our answering guide for citizens on youcan.fixcopyright.eu and work with the Copyright 4 Creativity coalition lead to over 11,000 replies to the EU Commission’s copyright consultation. We successfully persuaded the IP Observatory to abandon its biased report on copyright infringements in the digital world. We are continuing to fight to ensure a good outcome of the “voluntary measures” study by the Observatory. We carried the message for reform to policy-makers at several high-profile conferences, such as the European Voice conference on “Copyright 2015”. Among others, our efforts were mentioned by: EurActiv, TorrentFreak, TechDirt. Our public campaign led to more than 20,000 faxes being sent by concerned citizens to their elected representatives. We successfully campaigned for the adoption of crucial amendments by the European Parliament to ensure net neutrality protections. Our complete analysis can be found in the document pool. We contributed to the IGF’s dynamic coalition on net neutrality. 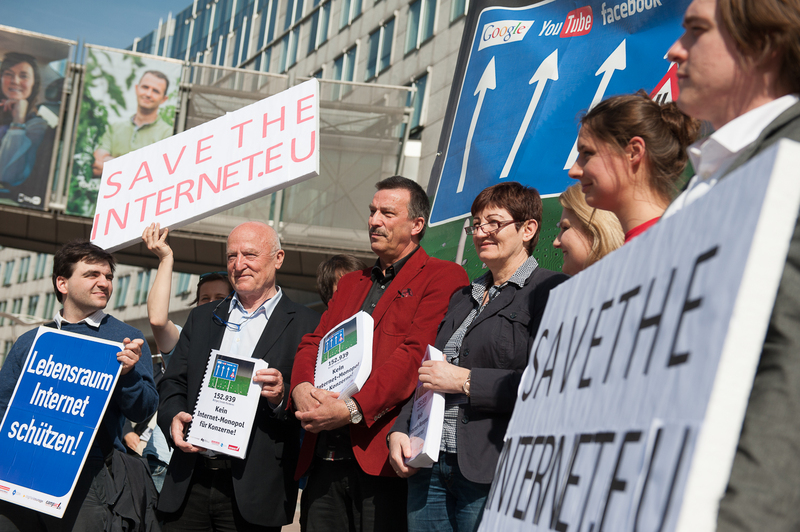 Together with several NGOs, consumer groups and industry representatives, we sent an open letter to the Council of the European Union, calling for Telecoms ministers to support strong net neutrality rules in the EU. In March, we published analysis of the European Parliament’s vote on the LIBE committee’s report which represented another crucial step towards protecting European right to privacy. Our comments on current data protection events were quoted in several international online publications (for ex. NPR, Intellectual Property Watch). In February, EDRi provided input to a conference of the Green party in Helsinki on the topic of corporate lobbying against the EU data protection reforms. We successfully campaigned for an amendment (42a new) to the Data Protection Regulation banning the unauthorised export of personal data for law enforcement purposes. Together with other NGOs, we sent a letter (pdf) to Google’s Advisory Council on the so-called “right to be forgotten” and took part in a high level conference on this topic. On 8 April, European Court of Justice decided that the Data Retention Directive, an EU legislation on mass surveillance, contravenes European law, thanks to a case brought by EDRi-member Digital Rights Ireland and AK Vorrat Ireland. 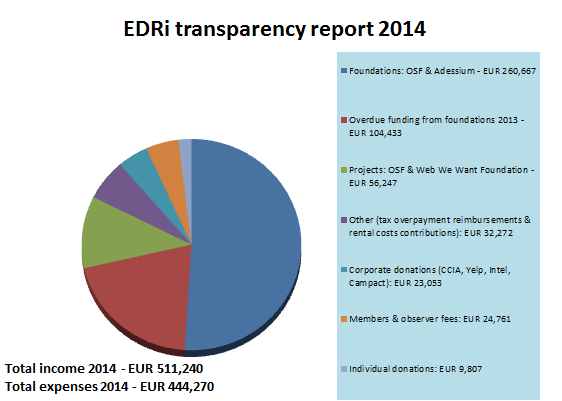 EDRi and its member organisations provided considerable analytical support for the case over several years. The European Parliament report on mass surveillance includes a seven point action plan, “European Digital Habeas Corpus” which we will follow in the coming months. After a short and fierce campaign, we achieved a major victory for civil liberties with regard to ongoing Passenger Name Record (PNR) initiatives. 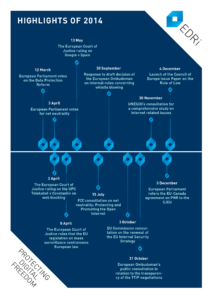 In November 2014, we campaigned in favour of a resolution for a referral to the EU Court of Justice (CJEU) which was adopted with a substantial majority. The EU-Canada agreement on the transfer of PNR will now be tested for its compatibility with the EU treaties and Charter of Fundamental Rights. The European Commission organised a public consultation on investor-state dispute settlement (ISDS) which they would like to include in TTIP and other trade agreements. In order to help citizens and other civil society organisations respond, EDRi created an extensive answering guide for the consultation (online form) and submitted its answer (pdf). We also provided a detailed response to the European Ombudsman’s consultation on transparency of the TTIP negotiations (pdf) and welcomed her initiatives to open investigations on both the European Commission and the Council of the European Union to ensure that transparency and public participation in TTIP negotiations. On 14 and 15 July, EDRi co-organised a civil society strategy meeting in Brussels. 83 candidates that signed the Digital Rights Charter were elected Members of the European Parliament, you can access the list here. Between January and May, our campaign was frequently mentioned in the press and international blogs, such as BoingBoing, Le Monde Diplomatique and Süddeutsche Zeitung. You can access our complete press review for the year 2014 here. We published a booklet (pdf) explaining the Digital Rights Charter and distributed it to all Members of the European Parliament. As a result of our advocacy work and public campaigning, the draft text for voluntary blocking/filtering measures in the “Telecoms single market” proposal was removed by a majority the EU Parliament in April 2014. We continued to raise awareness for this issue and to criticise initiatives, relevant proposals in international agreements. We initiated and spoke on a panel at the RightsCon 2014 discussing privatised enforcement and corporate censorship (YouTube).